There are times when we experience problems with our computers either at home or in the workplace; these problems are not always repairable on site and as a result the base unit of the computer will have to be sent for repair – or taken for repair – if the engineer is close by. With this in mind it is worth considering the potential risks inherent with sending our computer equipment for repair. It is important to remember that once the equipment leaves our home or office we are at the mercy of the engineer until such times as the machine is returned. If you have documents on your computer of a sensitive nature i.e. documents which include information about bank or building society accounts, employee histories, curriculum vitas etc, then it is important to take every precaution to ensure their safety. It is important to be mindful of the fact that a computer problem can arise at any time so being prepared is a bonus. Password any documents you do not want any other individual to have access to; this can be done simply using the Windows environment or GUI (Graphic User Interface). 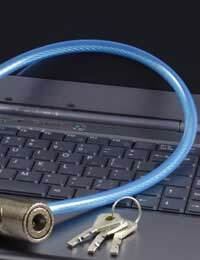 Remember to use a password that only you will know and do not store details of passwords on your computer. This is one of the most important pieces of advice any computer owner can receive; always make regular back ups of your hard drive and the information on it. This can be done simply these days using specific off the shelf software and a blank DVD. Depending on the speed of your computer the process can take anything from an hour to over night but the time used is time saved later on. Seasoned computer users refer to the removal of files and documents of no further use as ‘housekeeping’. Allocate one hour a week to go through your computer and delete those files which are of least importance – or indeed those files that you have already backed up. Cookies are small text files which your operating software generates when you carry out a specific function on the Internet. This can be especially dangerous if you use banking sites or sites that involve entering your credit or debit card details. Accessing the control panel of your operating system will present you with options to delete these cookies along with browser histories; something that is helpful in preventing personal information falling into the wrong hands. If you are told that the hard drive in your computer fails then it is obviously in need of replacing. The hard drive is what is known as a storage device and it does just that; it stores all and every piece of information you assign to it. You may think that because your hard drive no longer boots up your computer that it is beyond repair. This is not the case. A hard drive can fail in starting up your operation system but added to another computer as a secondary drive it can still be accessed and all information copied from it. If an engineer tells you that your hard drive is no longer operational it is important to ask for it back. Many independent IT engineers keep a stock of old hard drives for use in other machines and these drives come from old computers that are deemed none repairable. However just because the computer does not function it does not mean the hard drive is non functional as well. In conclusion it is important to maintain a regular back up system for all files on your computer and to keep said back ups in a safe, preferably fire proof place such as a safe. Also it is wise to enlist the help of a reputable engineer rather than take chances with those who advertise in small columns in your local newspapers. This is not to say that such engineers are not reliable but from the point of view of an identity thief it would be an ideal cover to access other people’s information.